Sonya Blade (Bridgette Wilson) is a special forces agent who must compete in the tenth Mortal Kombat tournament in order to prevent humanity from damnation. 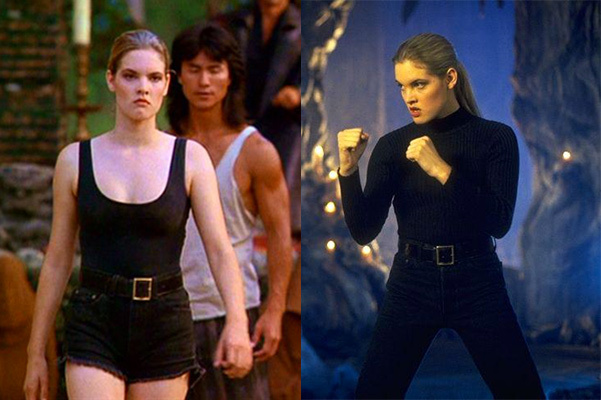 This version of Sonya Blade is from the live-action Mortal Kombat film from 1995, and her clothing is much more realistic for special forces than the video game version of Sonya Blade. In Mortal Kombat, Sonya Blade is an officer of the U.S. Special Forces. While pursuing Kano and the Black Dragon syndicate, she enters Shang Tsung’s fighting tournament. Even though she’s dressed for sweating to the oldies rather than fighting to the death, she’s able to hold her own against some of the fiercest fighters in the world.